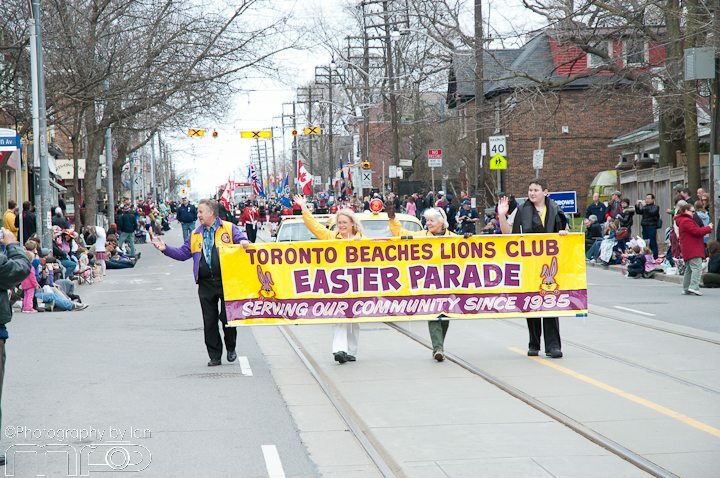 The 44th edition of the Toronto Beaches Lions Club Easter Parade was held yesterday. 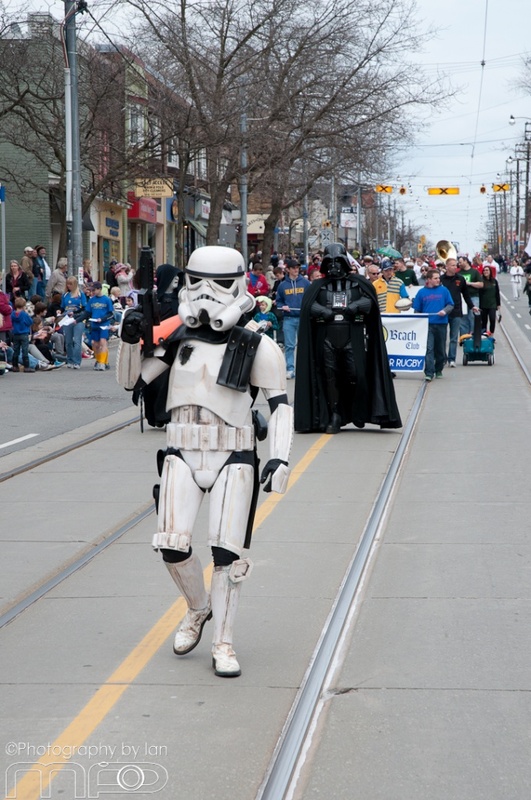 The parade was full of happy, hoppy people including this year’s parade Grand Marshal, Heather Moyse; who won Canada’s first ever women’s gold medal in bobsled at the 2010 winter Olympics in Vancouver. 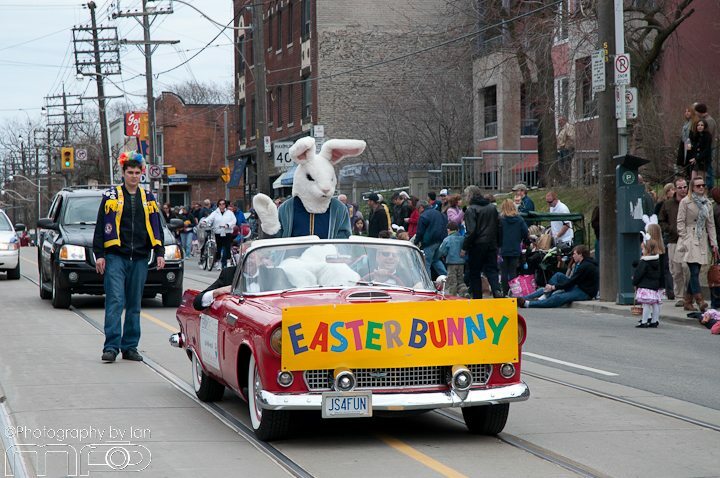 The parade also had Miss Canada, Miss Teen Canada and various other beauty pageant winners, including Junior Miss. 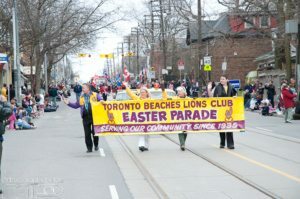 Some of the featured groups in the parade include the Malvern Marching Band, the Shriners’ Musical Train, the Tian Guo Marching Band of Canada, the York Lions Steel Band, The Toronto Fire Dept Pipes and Drums, a Zamboni from Ted Reeve Community Arena, members of the local roller derby league, four-legged friends and all sorts of clowns and other costumed characters, including, Storm troopers, Dark Sith, the Emperor, Darth Vadar and of course the Easter Bunny. Before going to the Easter Parade, my girlfriend and I had brunch with some new friends at the Beacher Cafe. As we were waiting to be seated, a familiar face walked by me, It was another tenant who had just moved in down the hall from my executive suite Toronto. I remembered his face, as we had talked in the kitchen while he was grabbing a coffee and I was microwaving a bag of popcorn. I remembered that he mentioned that he too started off as Toronto virtual office client with a $30 Toronto mail service. As his business expanded, he decided to take a Toronto shared offices and make use of having a professional receptionist answer his calls and greet his clients. After the parade, we went over to Ed’s Real Scoop for some homemade ice cream. While we were there I noticed the mother of one of my childhood friends. It seems that my friend Chuck who used to love to blow things up in the backyard and the ravine went back to school late in life, got his undergrad, his Masters, and now at 45 is working on his PHD in environmental sciences. I thought that was really cool. Today while I was driving down to my downtown Toronto office space, I noticed the roads were not that busy for a Monday, but remembered that unlike the many entrepreneurs who have office space Toronto at Telsec, many government workers and other companies also take Easter Monday off.